After the tweet went viral, an article by Vanity Fair was published, citing that owner Guy Sands attended a 2016 party thrown by British alt-right extremist Milo Yiannopoulos. The registered Republican denied all these allegations in an email. “I do not associate or identify with these groups in any way,” Sands told Eater. “Sands welcomes everybody.” Sands closed the coffee and sandwich shop back on September 26 after only being open for three weeks and having positive reviews on Yelp. Known for being a city that embraces diversity and spreading love the Brooklyn way, this isn’t the first time a business in this area has been shut down due to questionable and racist ways. Over the summer, a nail salon was forced to close their doors when security footage went viral showing employees viciously attacking two customers with broomsticks and acetone for complaining about a routine eyebrow service. Both the employee and customer were charged with assault. Summerhill, a bar and restaurant in Crown Heights, raised eyebrows after a press release touting terms like “bullet hole-ridden wall,” and 40-ounce bottles of rosé caused protests surrounding the capitalization on stereotypes of black violence and poverty. 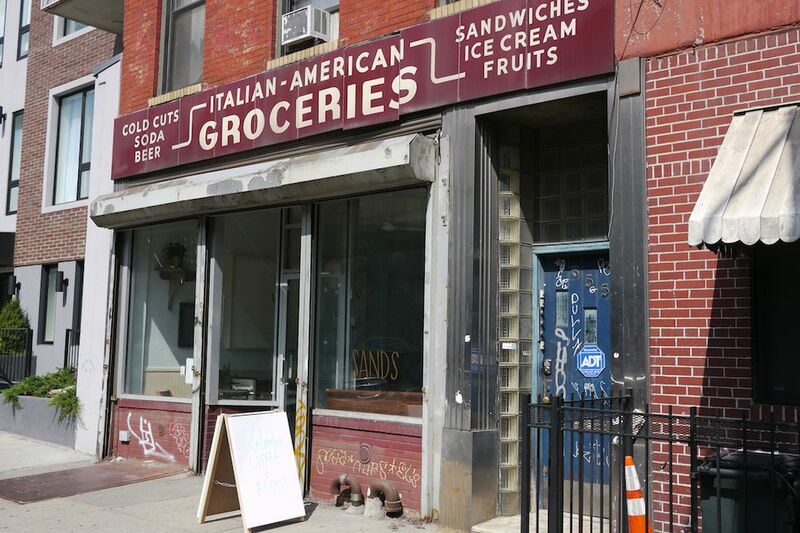 It unclear if Sands will reopen the cafe.